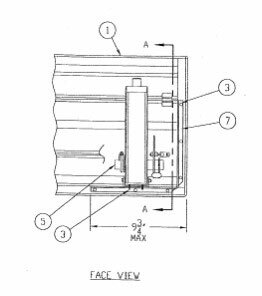 Dampers with actuators from Alps? Who knew?! 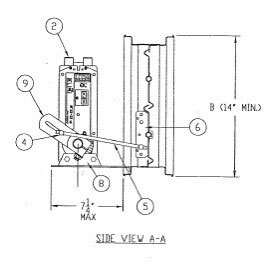 When you are direct mounting an electric actuator to the side of the damper, it’s a quick and easy field installation, and in most cases is also cheap. But, what if you are using ball joints, push rods, and other mounting hardware to connect the actuator? It takes much more time to order each individual piece from separate manufacturers. Installing these various pieces separately can also take much more time and effort for the technician. 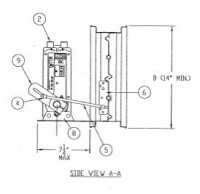 Some manufacturers, such as Ruskin, will ship the damper with the actuator already mounted. While ordering the pieces together from the same manufacturer does add an additional cost, the amount is significantly less than the cost of a technician’s time and effort to mount an actuator on their own. This can also eliminate the potential for mounting errors, and provides one warranty from the manufacturer on the whole unit. 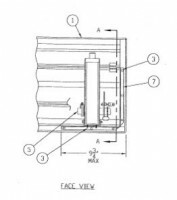 Buying your dampers with the actuator attached is an option at Alps, but requires that you contact us to place the order for you. Simply call 412.464.1730 or send an email to our customer support team, and we’d be happy to place the order and determine the specific attributes needed for your project. “What exactly is a blog anyway?” Well, we weren’t too sure either. We do know that we want to learn a new way to talk to you, our “fan base.” So, we thought we’d try it out and learn with you as we go. Welcome to the all new “Alps Controls Blog.” Here at Alps we’ve been thinking about making a few changes to the way we do business. For the past several years, Alps Controls has been a leader in the wholesale building automation controls industry. We have built great relationships and partnerships with many of you, but we think it’s time to make our relationships with you even stronger. We want to make our company transparent and show you just how Alps works. Our business model, our staff, and even our offices will be open for display and discussion. We want to share with you some pearls of wisdom we’ve picked up along the way, and gain some from you as well. We want you to have unlimited access and to let us know what we’re doing right… and what we’re doing wrong. In other words, we want buying from the Alps e-catalog to be an informative, easy, and even entertaining experience. A different approach to buying control products. And if it’s not, let us know! We value your opinions, ideas, and concerns and invite you to comment on our new site (you don’t have to leave your name), send us an email, or call us up and tell us how you feel. Some may think that a “blog” isn’t a tool commonly used in the HVAC industry, and you’d be right. But, we are going to try and change the way we communicate, so that you can too. If you have an idea for a new blog post, comment below. Maybe together we can figure out exactly what this is and how to do it. Thank you for being such loyal customers and we look forward to hearing your responses. Thank you for answering our 2016 AHR Expo question. We’re bummed that you won’t be attending the 2016 AHR Expo in Orlando. Maybe we’ll see you at the next one! We’re excited that you’re planning to go to the 2016 AHR Expo in Orlando. We hope to see you there!